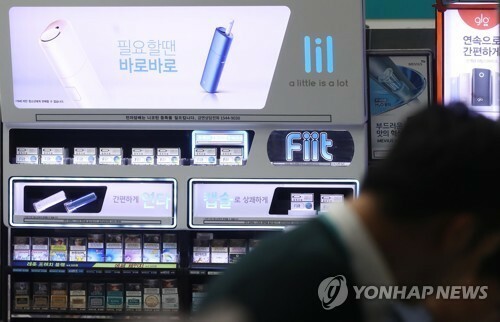 KT&G Corp. South Korea‘s leading cigarette maker, on Monday officially began selling its new tobacco-heating device, amid growing popularity of heat-not-burn (HNB) products in the country. The new product, dubbed lil, heats up tobacco leaves without generating smoke using battery power, according to the company. KT&G said the 10,000 units it put on the market via pre-order were sold out in just two days last week. The consumers who purchased the items during the period can pick up the devices starting Monday. The HNB tobacco market has been rapidly expanding in South Korea with the launch of British American Tobacco’s glo in August and Philip Morris International Inc.‘s IQOS earlier in June. According to government data, 71.9 million packs of HNB type cigarettes have been distributed in the country as of last month.